Hatzolah's mission is to save lives, and to prevent, reduce, and treat injuries and illness. 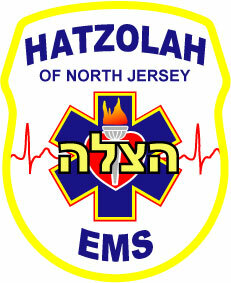 Hatzolah EMS of North Jersey provides first-aid and ambulance service in Passaic, Clifton, Paterson, and surrounding areas. Our affiliate, Hatzolah of Union City, provides the same services in Union City and surrounding areas. Hatzolah also distributes safety information throughout North Jersey, helping people stay safe and prepared. Here you can find information about Hatzolah, read safety articles, view pictures, make a donation and much more. Please select one of the links below. via Credit Card or PayPal! You can help Hatzolah save lives! Donate now by clicking the button below. Click here to go to the regular home page. Here is a list of words that are used to find this site. Hatzolah, Hatzoloh, Hatzalah, Hatzolah, Hatzalah, Hatzoloh, Hatzola, Hatzolo, Hatzala, Hatzola, Hatzala, Hatzolo, Hatzollah, Hatzolloh, Hatzallah, Hatzollah, Hatzallah, Hatzolloh, Hatzolla, Hatzollo, Hatzalla, Hatzolla, Hatzalla, Hatzollo, Hazole, Hazolo, Hatzole, EMS, HVAC, HEMS, EMT, ALS, BLS, Advanced Life Support, Basic Life Support, MICU, Mobile Intensive Care Unit, ambulance, service, volunteer, bus, rig, truck, VAS, Emergency Medical Services, Emergency Medical Service, First Aid Squad, First aid, Corps, VAC, First Response, Search and Rescue, hazmat, haz-mat, hazardous materials, SAR, 911, Emergency Medical Technician, First Responder, CFR, Medic, Paramedic, CPR, defibrillate, defibrillation, defibrillator, suction, backboard, stretcher, stairchair, stair chair, Police, Fire, rescue, Chief, Captain, Fire Department, Police Department, medical, Firehouse, Police Station, North Jersey, North New Jersey, Northen New Jersey, Passaic, City of Passaic, Clifton, City of Clifton, Union City, Passaic County, Bergen County, New Jersey, NJ, New York, NY, NJ-1, NJ1, NJ-2, NJ2, NJ-3, NJ3, P01, P02, P03, P-01, P-02, P-03, P1, P2, P3, P6, P-6, P7, P-7, P8, P-8, P-9, P-9, P10, P-10, P11, P-11, P12, P-12, P13, P-13, P-14, P-14, P15, P-15, P16, P-16, P17, P-17, P18, P-18, P-19, P-19, P-20, P-20, P21, P-21, P22, P-22, P23, P-23, P24, P-24, P25, P-25, P26, P-26, P27, P-27, P-28, P-28, P71, P-71, P72, P-72, P73, P-73, P74, P-74, P75, P-75, P-76, P-76, P-77, P-77, P78, P-78, Pservice6, P-service6, PS6, PS-6, paypal, credit cards, online payment, check, tzedakah, tzedaka, tzedakkah, tzedakka, tsedakah, tsedaka, tsedakkah, tsedakka, sedakah, sedaka, sedakkah, sedakka, charity, charitable, donate, donation, donations, dedicate, dedication, dedications, sponsor, 501c3, 501(c)3, 501, tax deductable, tax-deductable, tax-deduction, tax deduction, tax-deductions, tax deductions, taxdeductable, taxdeduction, taxdeductions, Jewish, Jew, Judaism, orthodox, kosher, frum, central, Israel, Yiddish, Hebrew, Yid, Ashkenaz, Sefard, Sephard, Ashnazic, Sefardic, Sefardish, Sephardic, Sephardish, Chassidish, Chasidish, Chassidic, Chasidic, Chassid, Chassid, Hassid, Hassidic, Hasid, Hasidic, Yeshiva, MADA, Magen David Adom, Magen David Adom BiYisrael, ZAKA, Boro Park, Flatbush, Crown Heights, Queens, Williamsburg, Wiliamsburg, Lower East Side, Canarsie, Upper West Side, Manhattan, Brooklyn, Queens, Staten Island, Bronx, Richmond, Westchester, New York City, NYC, Washington Heights. Hatzolah EMS of North Jersey, Hatzolah of North Jersey, Hatzolah of Passaic Clifton, Hatzolah EMS of Passaic Clifton, Hatzolah of Passaic Clifton EMS, Hatzolah of Passaic/Clifton EMS, Passaic Clifton Hatzolah, Passaic Hatzolah, Hatzalah EMS of North Jersey, Hatzalah of North Jersey, Hatzalah of Passaic Clifton, Hatzalah EMS of Passaic Clifton, Hatzalah of Passaic Clifton EMS, Hatzalah of Passaic/Clifton EMS, Passaic Clifton Hatzalah, Passaic Hatzalah, Hatzoloh EMS of North Jersey, Hatzoloh of North Jersey, Hatzoloh of Passaic Clifton, Hatzoloh EMS of Passaic Clifton, Hatzoloh of Passaic Clifton EMS, Hatzoloh of Passaic/Clifton EMS, Passaic Clifton Hatzoloh, Passaic Hatzoloh.